We're getting spoiled. Whenever a few weeks go by without major Downtown San Jose development news I start to get antsy. It is easy to forget that there was a time not long ago where years would go by without substantial news. 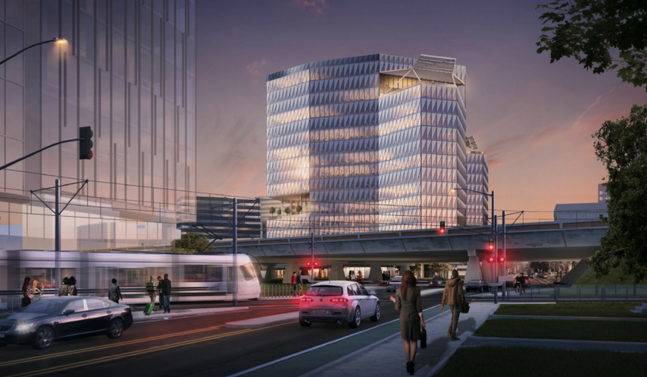 Nathan Donato-Weinstein has broken a story about the latest high-rise proposal by none other than Lew Wolf and Phil DiNapoli, both veterans in the Downtown San Jose development scene. 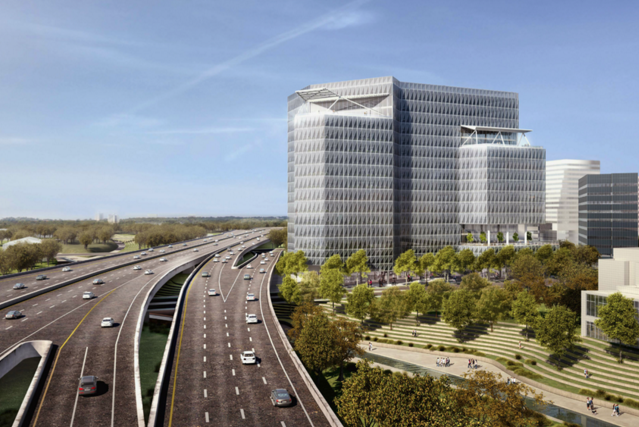 Last week they submitted plans for a massive 725,000 SQFT office tower next to the Adobe campus on 333 W. San Fernando Street. The project would be built on 2.5 acres that are currently being used as a parking lot. 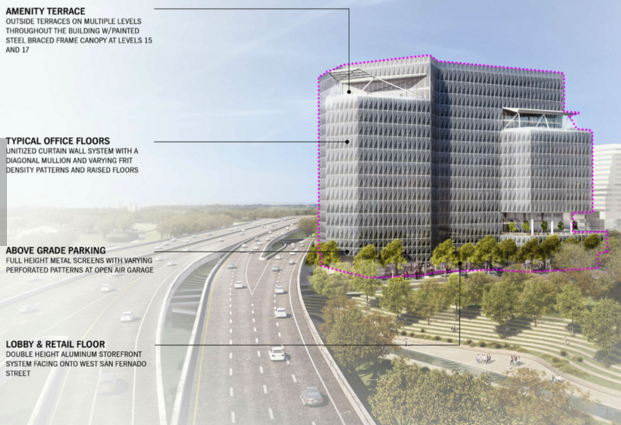 The single 19-story building would nearly have as much square footage as all three of the Adobe towers combined. This means it would feature the sprawling floor plates and tall ceilings that Silicon Valley tech companies love these days. Other amenities include cutout decks and platforms that would create outdoor gathering spaces and a ground floor partially wrapped with retail. Parking would be split across 10 floors (??? ), five levels below ground and five levels above ground. I don't think we have a parking structure in San Jose today that utilizes so many floors. Given the location's proximity to every transit option imaginable, hopefully they are able to reduce the number of spaces and instead increase the square footage of the office space. If this gets built, it would but a another win in what is becoming a large collection of victories for Downtown San Jose. The fact that we are even discussing this in addition to the dozen other major projects already in the pipeline is already some level of success. It's amazing that you can still find a 2.5 acre site in the middle of a large city downtown like this. 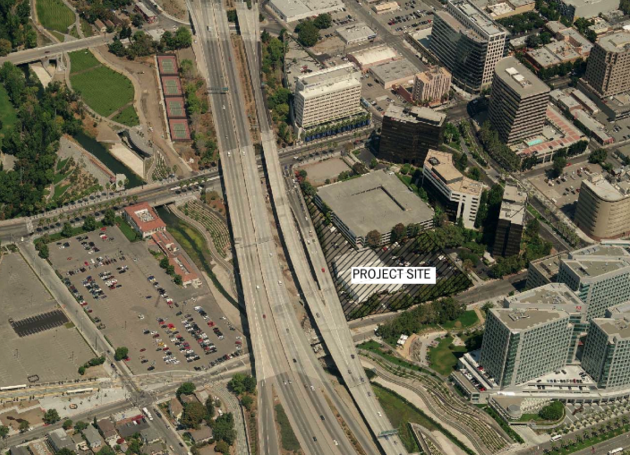 Goes to show you how little development has occurred in DTSJ over the years. Any other city would have filled it long ago. This will be a nice one because it's right on the edge of Hwy 87 and makes the entrance to SJ from the airport more impressive. 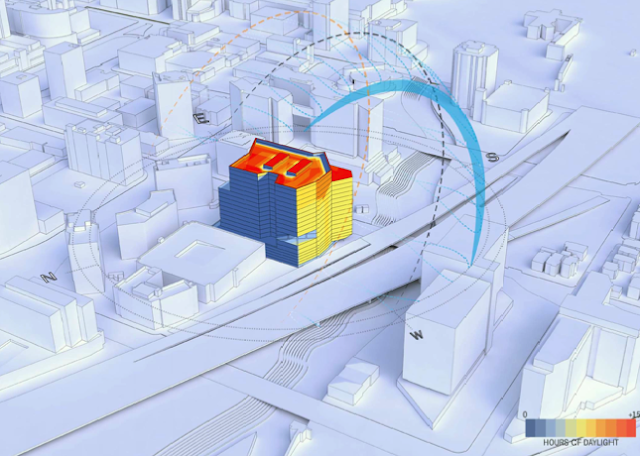 Downtown L.A., Portland, Seattle, Denver, Minneapolis, Phoenix, Dallas, Houston, Atlanta, Miami, Indianapolis, Philly, San Diego and others have more than 2.5 acre site in the middle of their downtowns. What are talking about? London? Paris? or Rome? Of course I think some of the ladies on the balconies of this building are going to get scared out of their minds when they see the airplanes flying right on top of them. Could be a Wayne's World type experience though. "some of the ladies on the balconies of this building..."? Seriously? !